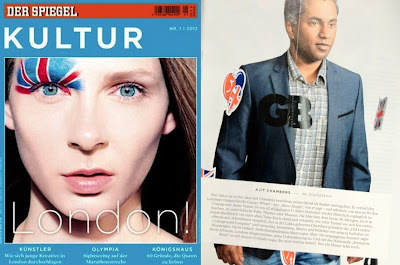 After our Early Day Motion in Parliament (2853) formed to assist us with the inclusion of European Press Coverage, the Spiegel includes us in their Olympic Special on London. 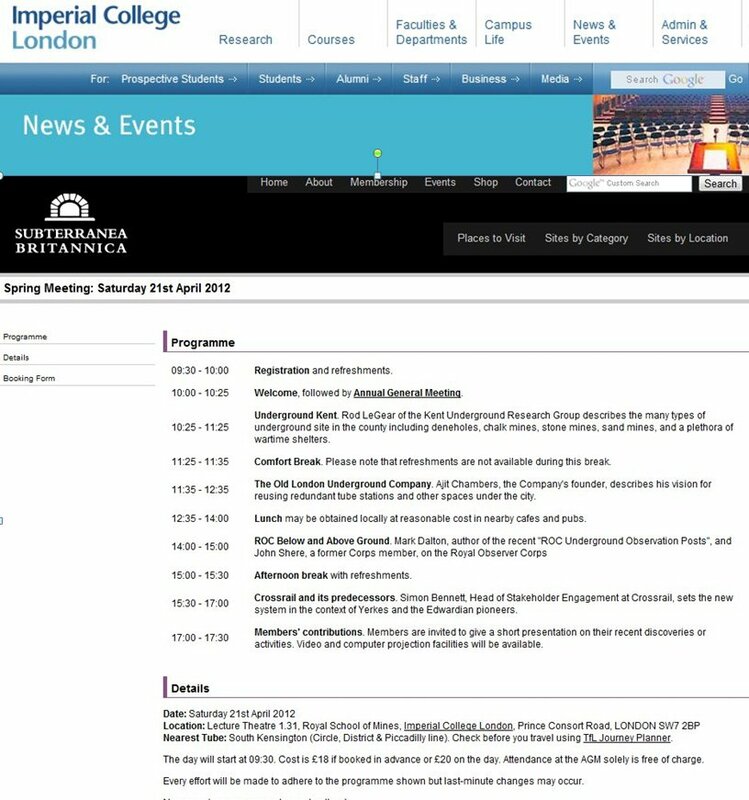 Ajit Presented at Imperial College London to members of Subterannea Brittanica this morning. 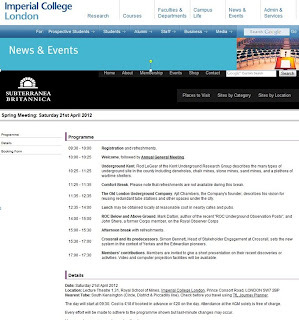 We presented this morning to a lovely crowd at Imperial College London. An experience as their members knowledge is extensive. 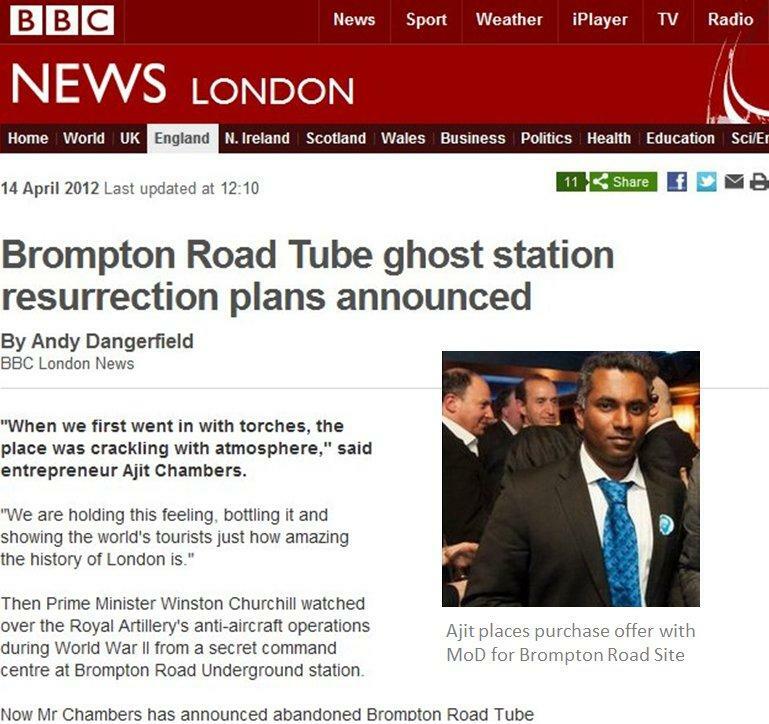 BBC Story achieves 'most read BBC article - worldwide '. BBC Story achieves 348,000 hits on day one, 240,000 hits on day two - to be topped by the anniversary of the sinking of the Titanic the next day. Addison Lee's Magazine 'Add Lib' is available in 3500 vehicles in their fleet across the UK and Europe. 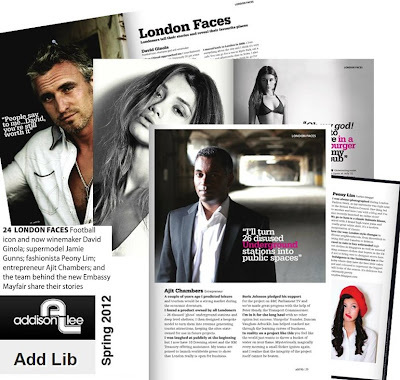 The Latest edition includes a section called 'London Faces' with short stories from Londoners that are adding value to our City. 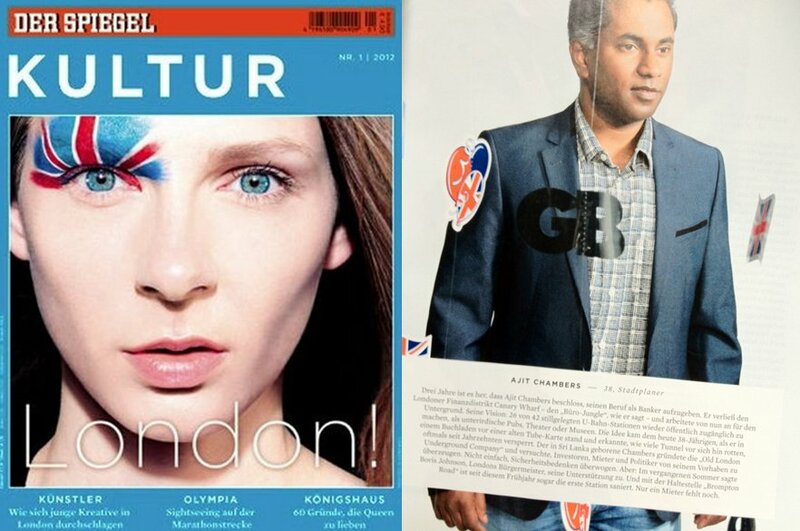 "A couple of years ago I predicted leisure and tourism would be a strong market during the economic downturn. 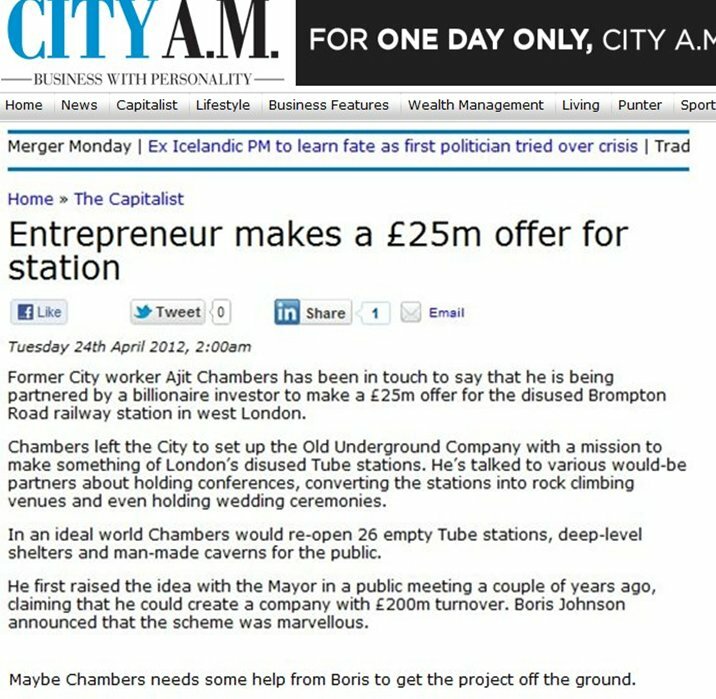 I found a product owned by all Londoners - 26 disused 'ghost' underground stations and deep level shelters; I then designed a bespoke model to turn them into revenue generating tourist attractions, keeping the site state-owned for use in future projects. I was laughed at publicly at the beginning but I now have 10 Downing Street and the HM Treasury offering assistance. 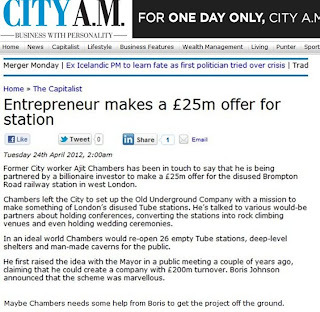 My teams are poised to launch worldwide press to show that London really is open for business. Boris Johnson pledged his support for the project on BBC Parliament TV and we've made great progress with the help of Peter Hendy, the Transport Commissioner. I'm in it for the long haul with no other option but success. Vinopolis' founder Duncan Vaughan-Arbuckle, has helped coach me through the learning curves of business. In reality on a project like this you feel like the world just wants to throw a bucket of water on your flame. Mysteriously, magically every morning a small flicker Ignites again, and I realise that the integrity of the project itself cannot be beaten". 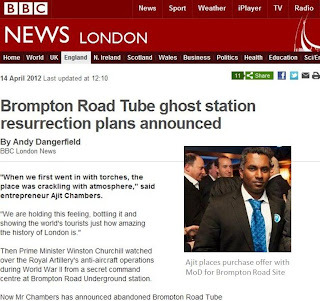 The Old London Underground Company,founded by entrepreneur Ajit Chambers and assisted by Boris Johnson,is running historic tours in abandoned London 'Ghost' Tube Stations.